Kick off your visit on the 17th (Thu): discover the deep blue sea with a scuba or snorkeling tour. Get ready for a full day of sightseeing on the 18th (Fri): relax and rejuvenate at some of the top local wellness centers, take in the pleasant sights at Bicentennial Walkway, and then tour the pleasant surroundings at Airlie Beach Lagoon. To see ratings, traveler tips, where to stay, and tourist information, read our Airlie Beach day trip website . Newark, USA to Airlie Beach is an approximately 31-hour flight. Traveling from Newark to Airlie Beach, you'll lose 15 hours due to the time zone difference. In October, Airlie Beach is a bit warmer than Newark - with highs of 79°F and lows of 70°F. Wrap up your sightseeing on the 19th (Sat) early enough to travel to Lizard Island. On the 20th (Sun), see the vivid underwater world at No Name Reef and then explore the striking landscape at Cod Hole. For ratings, more things to do, other places to visit, and other tourist information, use the Lizard Island travel route planner . Explore your travel options from Airlie Beach to Lizard Island with the Route module. On the 21st (Mon), you'll travel to Port Douglas. On the 22nd (Tue), discover the deep blue sea with a scuba or snorkeling tour. Here are some ideas for day two: browse the eclectic array of goods at Sunday Market Port Douglas, then stop by Coffee Works, then do a tasting at Shannonvale Tropical Fruit Winery, and finally kick back and relax at Four Mile Beach. To see where to stay, traveler tips, and other tourist information, refer to the Port Douglas trip planning website . The Route module can help you plan travel from Lizard Island to Port Douglas. October in Port Douglas sees daily highs of 85°F and lows of 68°F at night. Cap off your sightseeing on the 23rd (Wed) early enough to go by car to Cairns. On the 24th (Thu), see some colorful creatures with a scuba or snorkeling tour. On your second day here, enjoy the sand and surf at Trinity Beach, then enjoy the sand and surf at Palm Cove Beach, and then pause for some serene contemplation at St Monica's Cathedral. To see maps and tourist information, you can read our Cairns trip planner. Traveling by car from Port Douglas to Cairns takes 1.5 hours. Alternatively, you can take a bus; or take a shuttle. In October, daytime highs in Cairns are 85°F, while nighttime lows are 69°F. Finish up your sightseeing early on the 26th (Sat) so you can travel to Uluru-Kata Tjuta National Park. Start off your visit on the 26th (Sat): identify plant and animal life at Red Desert Reptiles, view the masterpieces at Walkatjara Art, and then get all the information you need at Uluru-Kata Tjuta Cultural Centre. Here are some ideas for day two: stroll through Kuniya Walk, then contemplate the waterfront views at Mutitjulu Waterhole, and then take in the dramatic natural features at Uluru. For other places to visit, ratings, where to stay, and tourist information, read our Uluru-Kata Tjuta National Park journey planning site . You can fly from Cairns to Uluru-Kata Tjuta National Park in 5 hours. Alternatively, you can drive. Expect somewhat warmer weather when traveling from Cairns in October: highs in Uluru-Kata Tjuta National Park hover around 91°F, while lows dip to 60°F. Wrap up your sightseeing on the 28th (Mon) to allow time to drive to Coober Pedy. Kick off your visit on the 28th (Mon): explore the fascinating landscape at Breakaways Conservation Park, pause for some serene contemplation at Serbian Orthodox Church, and then get engrossed in the history at Old Timers Mine. Keep things going the next day: pause for some serene contemplation at Catacomb Church, then identify plant and animal life at Josephine's Gallery & Kangaroo Orphanage, and then take an in-depth tour of Umoona Opal Mine & Museum. To see where to stay, reviews, traveler tips, and tourist information, read our Coober Pedy trip maker tool . Getting from Uluru-Kata Tjuta National Park to Coober Pedy by car takes about 8 hours. Other options: fly. October in Coober Pedy sees daily highs of 88°F and lows of 60°F at night. Finish up your sightseeing early on the 30th (Wed) so you can travel to Hobart. On the 30th (Wed), take your sightseeing to a higher altitude at Mount Wellington. Get ready for a full day of sightseeing on the next day: look for all kinds of wild species at Bonorong Wildlife Sanctuary, then see the interesting displays at Mona, and then tour the pleasant surroundings at Bellerive Beach. To see ratings, more things to do, and other tourist information, refer to the Hobart holiday builder website . Getting from Coober Pedy to Hobart by flight takes about 8.5 hours. Other options: do a combination of car and ferry; or do a combination of bus and ferry. When traveling from Coober Pedy in October, plan for cooler days in Hobart, with highs around 64°F, while nights are a bit cooler with lows around 46°F. Wrap up your sightseeing on the 1st (Fri) early enough to travel to Blacktown. Blacktown is a suburb in the City of Blacktown, in Greater Western Sydney, in the state of New South Wales, Australia. Kick off your visit on the 2nd (Sat): identify plant and animal life at Featherdale Wildlife Park and then revel in the low prices at Birkenhead Point Brand Outlet. On the next day, take in the architecture and atmosphere at St Johns Anglican Cathedral, steep yourself in history at The Australiana Pioneer Village, then admire the masterpieces at Norman Lindsay Gallery & Museum, and finally take in the views from Lennox Bridge. Make your Blacktown itinerary with Inspirock to find out what to see and where to go. You can do a combination of flight and train from Hobart to Blacktown in 4.5 hours. Alternatively, you can do a combination of car and ferry; or do a combination of bus, ferry, and train. In November, Blacktown is somewhat warmer than Hobart - with highs of 79°F and lows of 59°F. Finish your sightseeing early on the 3rd (Sun) to allow enough time to travel to Newport. Kick off your visit on the 4th (Mon): tour the pleasant surroundings at Palm Beach and then enjoy the sea views from Barrenjoey Lighthouse. To see more things to do, maps, other places to visit, and tourist information, go to the Newport holiday planning site . Traveling by car from Blacktown to Newport takes an hour. Expect a daytime high around 77°F in November, and nighttime lows around 62°F. Wrap up your sightseeing on the 5th (Tue) early enough to travel to Cronulla. 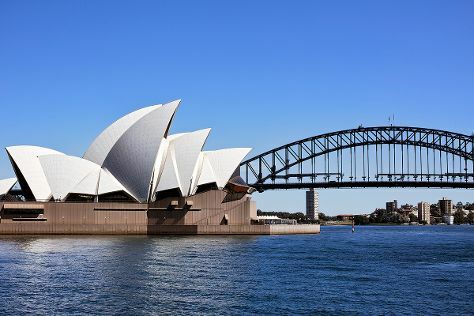 Start off your visit on the 5th (Tue): stop by Sydney Fish Market, then catch a live performance at Sydney Opera House, and then appreciate the extensive heritage of The Rocks. Keep things going the next day: examine the collection at Australian National Maritime Museum and then wander the streets of Darling Harbour. To see more things to do, photos, ratings, and more tourist information, go to the Sydney vacation planner. Getting from Newport to Sydney by car takes about an hour. In November in Sydney, expect temperatures between 77°F during the day and 62°F at night. Finish your sightseeing early on the 7th (Thu) so you can travel to Cronulla. Kick off your visit on the 7th (Thu): hike along Cronulla Beach Walk, then admire nature's wide array of creatures at Symbio Wildlife Park, and then get great views at Bald Hill Lookout. Here are some ideas for day two: tour the pleasant surroundings at Shelly Beach RockPool. Start your trip to Cronulla by creating a personalized itinerary on Inspirock. Traveling by car from Sydney to Cronulla takes an hour. In November, daily temperatures in Cronulla can reach 77°F, while at night they dip to 62°F. Wrap up your sightseeing by early afternoon on the 8th (Fri) to allow enough time to travel to Cowes. 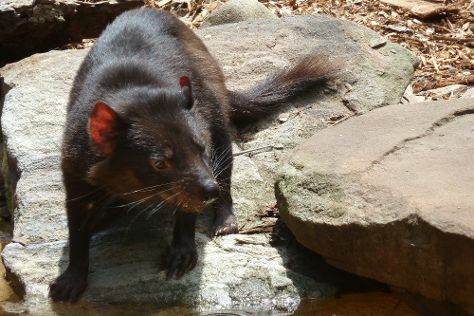 On the 9th (Sat), browse the exhibits of Phillip Island Grand Prix Circuit, look for all kinds of wild species at Phillip Island Nature Parks - Koala Conservation Centre, then learn about all things military at National Vietnam Veterans Museum, and finally identify plant and animal life at Rhyll Trout and Bush Tucker Farm. On your second day here, stop by Tyde, then step off the mainland to explore Churchill Island, then identify plant and animal life at Moonlit Sanctuary Wildlife Conservation Park, and finally pick up a one of a kind souvenir at Tyabb Packing House Antiques. For reviews, maps, and tourist information, go to the Cowes sightseeing planning website . Explore your travel options from Cronulla to Cowes with the Route module. Traveling from Cronulla in November, things will get a bit cooler in Cowes: highs are around 70°F and lows about 52°F. Wrap up your sightseeing by early afternoon on the 11th (Mon) to allow time for travel back home. Kick off your visit on the 11th (Mon): wander the streets of Collins St/Swanston St. Keep things going the next day: don't miss a visit to Shrine of Remembrance, then browse the eclectic array of goods at Degraves Street, and then look for all kinds of wild species at Trin Warren Tam-boore. 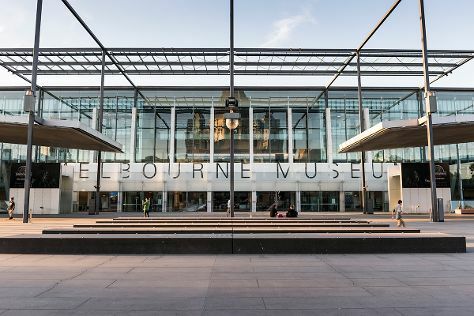 For ratings, more things to do, other places to visit, and more tourist information, use the Melbourne tour planner . You can drive from Cowes to Melbourne in 2 hours. Other options are to do a combination of bus and train; or do a combination of taxi and train. In November, plan for daily highs up to 73°F, and evening lows to 50°F. You will leave for home on the 14th (Thu).